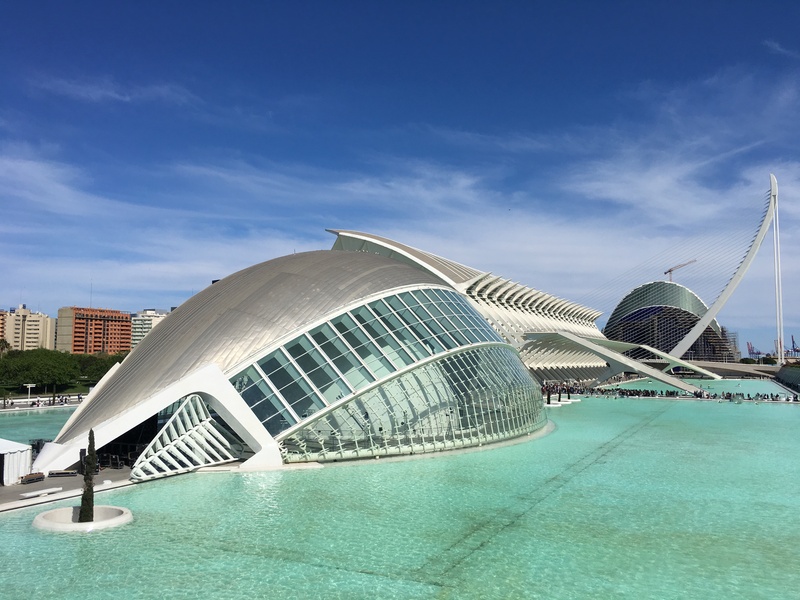 Ticking the Bucketlist » Valencia: Top Things to do! The winters in Madrid have been pretty long this year. Last week, when I thought that spring was finally here, it started to rain and I was back in layers. I decided that I had had enough of the cold winters and made my way to warm and sunny Valencia. Wise decision…I wore summer dresses and came back with a tan! If you are in Spain, Valencia is a must do city. Regardless of your age or interest, you will find that Valencia has enough and more to keep you busy. 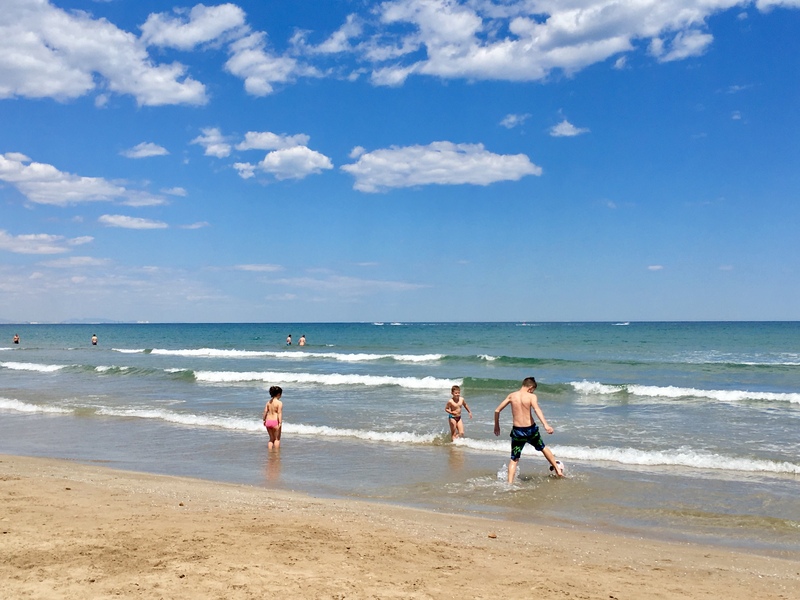 Port and Beach: I spent three days in Valencia and had plenty of time to potter around the city. Yet, I found myself at the beach for a few hours every day. The port and beach area in Valencia are delightful. There are plenty of bars and a well-built jogging track. If you want some more peace and quiet, walk away from the port and you will be away from the party scene and much closer to nature. Turia gardens: The Turia gardens run through the center of the city for almost 9 km. They are well maintained and full of trees. There are spots where the gardens are exceptionally manicured and its a delight to sit amidst the flowers. If you are here in spring or summer, a picnic in the gardens is a must. San Nicolas Iglesia: I am exhausted seeing churches and cathedrals in Europe and had decided ‘no more’ when I went to Valencia. But when I saw the pictures of the San Nicolas Iglesia on the internet, I couldn’t stop myself from going to the church. And I am glad that I did! The church has some amazing stories that are elaborated in its frescos; the audio guide made the whole visit so much more interesting. Old Town of Valencia: Walk through the towers and walls of the Old Town of Valencia and get lost in the narrow cobbled streets. Sit down at one of my many squares and have a glass of freshly squeezed orange juice and engage in some ‘people watching’. 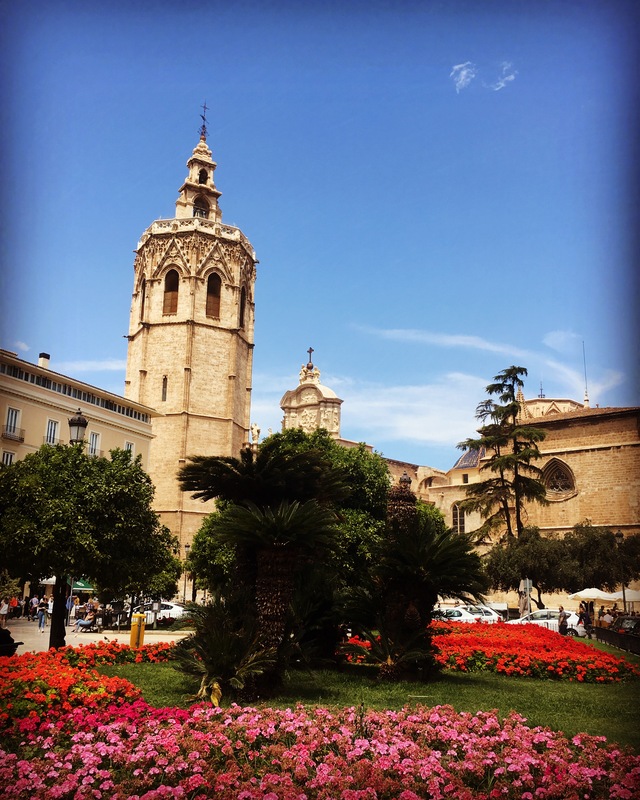 The Old Town is Valencia sure is charming and is best discovered on a walking tour. 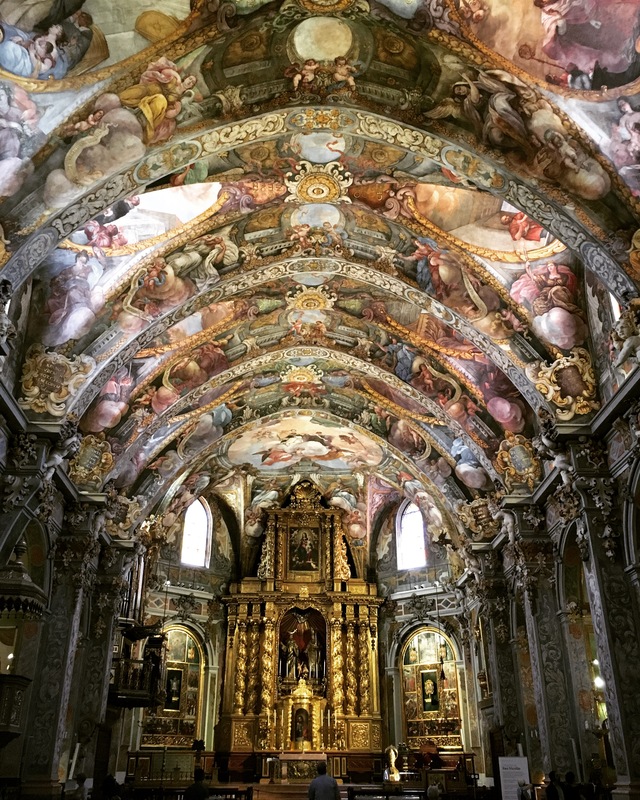 There are free walking tours conducted by many agencies and I would highly recommend joining one on your first day in Valencia. City of Arts and Sciences: This interesting modern structure is one of the most visited places in Spain…and for a reason. It houses art displays, a science museum, a hemispheric that plays movies to kindle the discoverer in you and the very well known oceanographic, which is Europe’s largest aquarium. I enjoyed the movie in the hemispheric a lot. If you have kids with you, you need to budget at least two days to explore this ‘City’. Eat a paella: This is where it all started…the birthplace of paella. I have tried making the paella without much success and I agree that making a perfect paella sure is an art. I had a vegetarian paella at Le Pepica, by the beach. 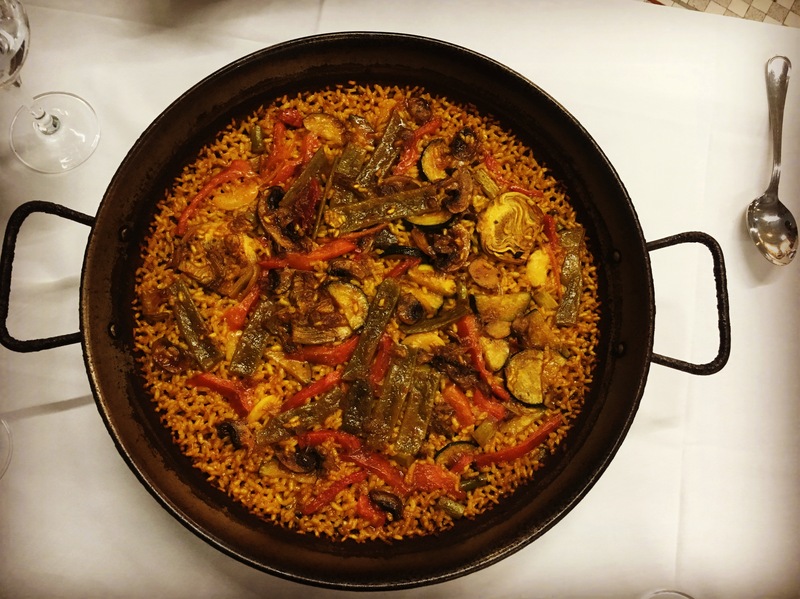 The restaurant sure did a good job and made a lip-smacking paella… no wonder it was frequented by Ernest Hemingway! 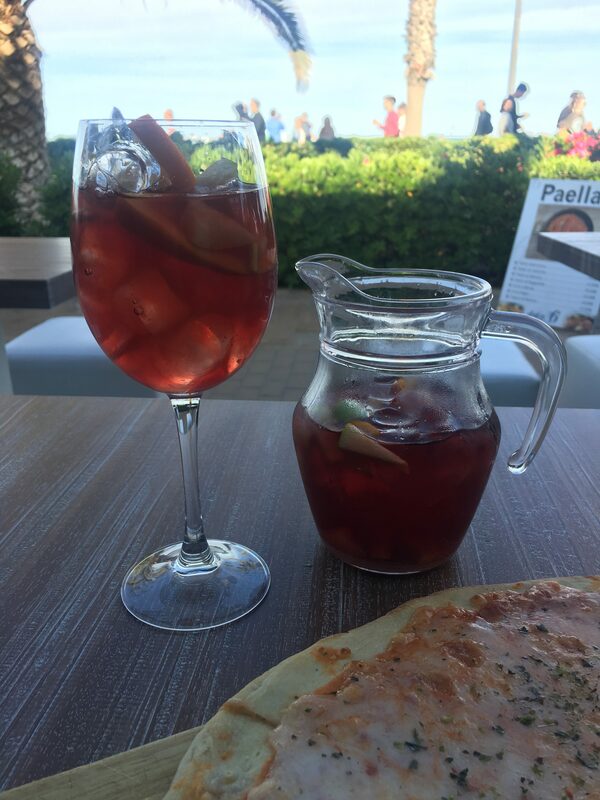 Don’t forget to couple the paella with a sangria! Albufera Nature Reserve: If you have had enough of the city and want some peace and quiet, head to the Albufera Nature Reserve. It is here that the paella rice is grown. There is also a lovely lake that is perfect for a boat ride to watch the sunset. Shopping: Valencia is a great place to shop. There are some great malls in the city that will let you unleash the shopaholic in you. I went to El Saler, a huge shopping mall opposite the City of Arts and Sciences with the intention to buy some tissues… and emerged a couple of hours later with three dresses and two pairs of shoes! The central market is where the locals go shopping and are great to experience life like a local. La Fallas: Las Fallas is one of the most important festivals is Valencia, which is held in March. Huge colorful figurines are made and are paraded through the streets…and are then burnt down, along with a firework display when the festival ends. If you cannot make it to the festival, make your way to the Fallas museum to see a collection of the figurines that were ‘pardoned’ through the years. Party: Whether you like to party on the beach or in exclusive clubs, Valencia has it all. The third largest city in Spain is great to let your hair down and party to your heart’s content! 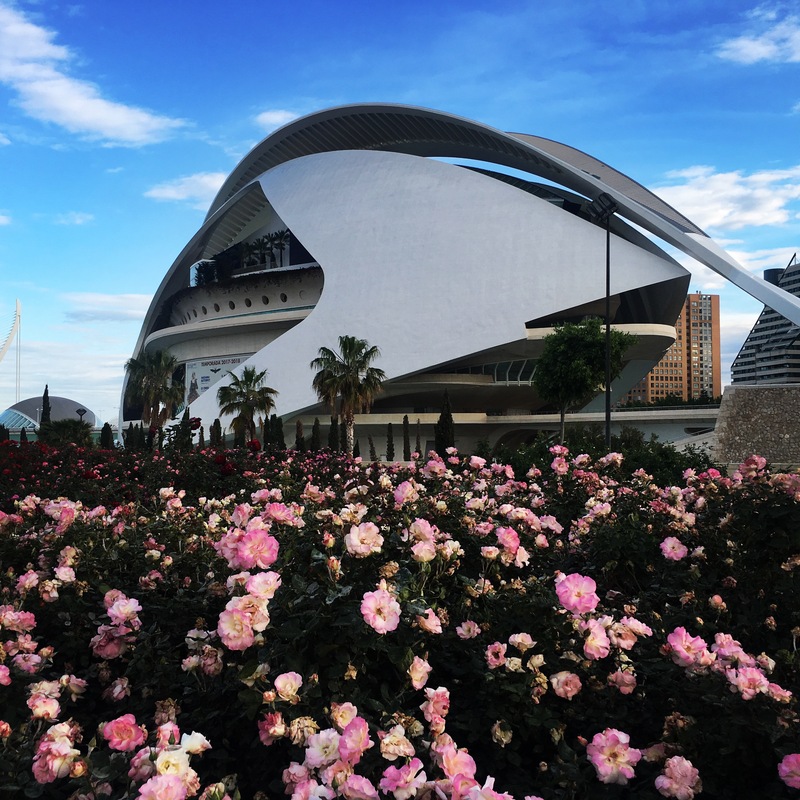 Valencia is calling… time to plan your Spanish soujourn!